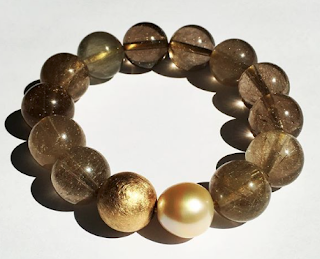 Designer Zara Scoville creates astonishing pearl pieces, featuring "dirty pearls": the mauve, grey, gold, taupe, black and rose shades she grew to love when living on a Pacific island five years ago with her astronomer husband Nick and young son, Caius. This LA based former special-effects costume designer is my personal favourite for pearls above and beyond. Her newest pieces, displayed on her site, Priceless Imperfection, reflect her own verve and character: rocker pearls, delicate pearls, insouciant pendants- anything but boring beads. 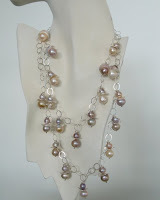 Have a look; she's made both bold and delicate pieces, all with her signature natural-coloured pearls. "What excites me," Zara says, "is the unusual and organic beauty of nature's imperfection, especially in pearls, which have traditionally been considered the height of purity and perfection. Oddities or color variations are normally bleached and dyed to conceal their true nature, but I find myself powerfully drawn to the affectionately named 'dirty pearls' in their natural, organic state." Baroque Tahitian pearls with oxidized sterling silver on waxed cotton cord. $360; also available with dirty pearls or Japanese kasumis. 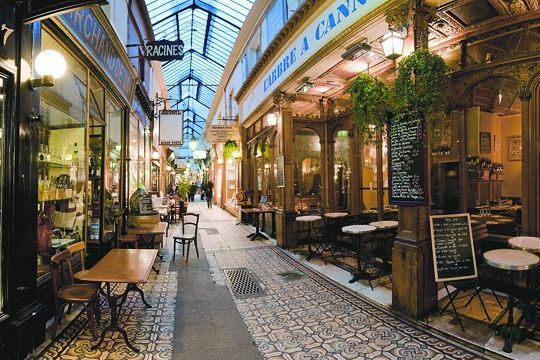 One of the reasons for Passage des perles is to share exceptional pearl finds. I often think I could begin and end with Zara Scoville! They are lovely! 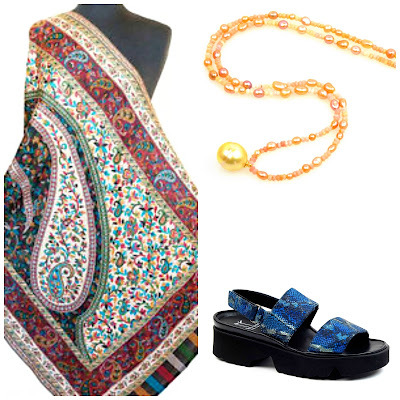 There is something totally irresistable about pearls anyway but I love the colours of these. I had a quick look at her website, and those earrings, with the mother of pearl hats on are beautiful! Wow, those are fabulous! I've decided that if I do purchase some real pearls, they're going to be along these lines...bolder and more unusual. Gorgeous! I'm going to check out that website. They are my kind of pearls too. Wow, again. You really do perform a public service (of the aesthetic variety) by displaying all your discoveries. 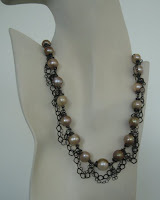 I love dirty pearls - in many ways they are so much more interesting than the traditional perfect pearl. I think because they are not perfect, they inspire bolder and more modern settings. I've just rediscovered this site, and wanted to thank you for the Passage and the wonderful article you've written - and also the inspiring comments by your readers! Finally checked out Zara's website, more than a year after you wrote about it. Inspiring!